Home / Articles tagged with "Common Sense Media"
Articles for Tag: "Common Sense Media"
Parents lead by example. But sometimes, that can be dangerous. 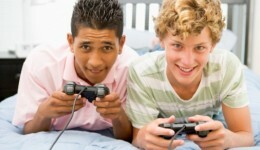 Boys spend more time playing video games while girls tend to use more social media.